Esports is gaining popularity and taking the world by storm. Nowadays every other individual is hooked into gaming. Some youth who excel in gaming often choose esports betting as their career. According to them, it is like traditional sports only. They further claim that like traditional sports, gaming also requires practice and they spend hours hooked on to their screens practicing the game to become a master. Unlike traditional sports, esports gaming is gaining audiences all over. Tournaments are held on a larger scale where the best of the players compete against each other, and the spectators bet on the fiercest player. Betting on the odds also fetches in quite the revenue in the tournament. There are various options to place the bets on. Like the winner of the tournament to crossing every level. Esports betting is becoming a mainstream game, especially for the game lovers, while more and more youngsters are choosing esports as their career. Becoming a professional in the field of Esports is now a thing. There are various gaming associations who regularly practice and compete with each other in winning the game online. The world of esports is a booming business sector, rising quickly and climbing up the ladder, but it is still in its bud, as the world of esports has a long ride to determine before it becomes popular similar to that of traditional sports. What will actually define the future of Esports Betting? One of those first things that every business needs to do is expanding its services. Expanding its reach to different sectors and to a broad spectrum of customers, who will generate more business or rather revenues for the business, will help in reaping more profits. The esports industry is not far behind to do so. In fact, it is doing so. It is expanding its categories to attract more enthusiasts and diversify its origin. The current gaming genres are not sufficient to attract all. The most popular games being League of the Legends, DOTA 2, and Smite; all have the option of multiplayer fall in the categories where participation matters. This requires strategic planning and the gaming plots are complex in nature. However, those who do not understand these strategies lose interest sooner than expected. Losing enthusiasts is a loss of business, thus, leaving behind the fighters, shooters and, mobile gamers to fill in more space. New genres are coming up where high levels of skill in team play and strategy won’t be necessary. The worldwide gaming tournaments may have gained popularity, but the local regions are often left behind. One of the most popular games “The League of the Legends” has only a handful of regions at play, leaving behind lots of enthusiasts from different countries, cities and, regions. This is not the case with traditional sports. Almost all the sports are intertwined and connected broadly, to countries, cities, and regions. This particular notion is indeed a real problem for the online gaming industry. In fact, this poses a potential threat in losing a larger number of players and in turn losing business. Local sponsors and local gaming associations support is equally important if local esport gaming tournaments are to commence in the near future in the pipeline. Still, many gaming organizers find it difficult to find parties who are willing to participate in setting up the event locally. This is the case when esports has globally succeeded in receiving attention from the mainstream media. 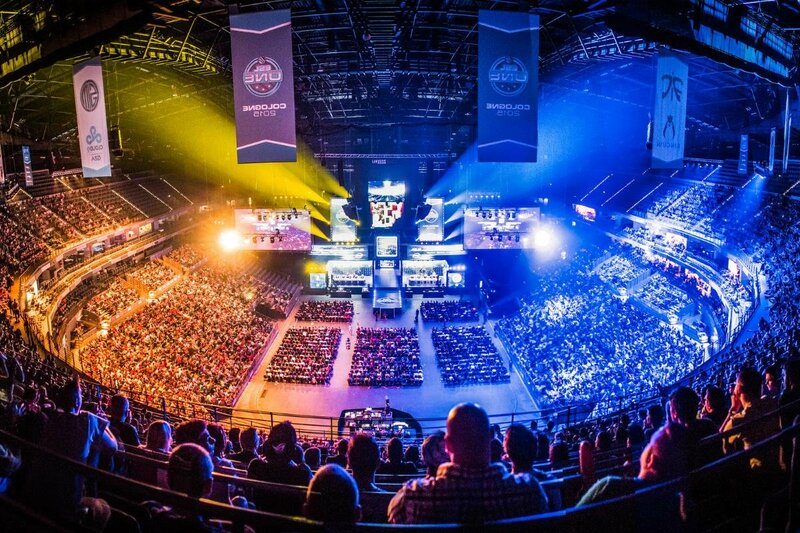 Esports is already generating millions and billions of revenue at the end of each year. This amount has the potential to double, triple itself in the near future. All this leads to the greed of humans to creep in the industry. With greed on the rise, corruption takes a steady leap. With multimillions being bet on and applied at stake, new improvised rules must take its rightful place to tackle match-fixing and cheating of any means. The current rules and regulations of the industry are surely not enough. A handful of major gaming organizations have implemented one or two mandatory rules and track the data of the players to ensure that the players are not throwing away matches. However, these measures are not enough and far from being perfect. These have loopholes which need fixation right away. The multiple big organizations earn millions every year through media rights, but it is unclear how all the legalities imply. There is higher revenue earning channels who pay an immense amount of cash to feature the games. Moreover, certain organizations do not value this right properly. It is still unclear as to how second and third parties earn revenue through media rights. The publishers and developers also play a major part, and yet their rights are unclear. Another concerning matter is that no one owns a single sport. In fact who can or which company can claim that soccer is theirs to have all rights on the sport. These matters make media rights a complicated system. This is not the case in traditional sports. In the case of traditional sports, the right is sold country to country. Thus expanding the reach and maximizing on local and global revenue, both alike. The major games may have made its presence known in the social media, but there is little or no information about the same being broadcasted on the television, which is considered as traditional media. As major companies are focusing on digital media and making their presence felt in the digital media, the traditional upstream media has completely been forgotten by the organizations. To gain more business, the organizations must set their alliances with digital as well as traditional media simultaneously. Focusing on either of them a little more won’t help the cause. Online gaming is no longer a time pass option for a considerate amount of the youth. With globalization and esports making more rounds of the digital media, it is truly on the verge of creating a revolution. The revolutionary world of esports as of now have a lot of empty grounds to cover, and it is reaching up in order to compete with the traditional sports. However, the question that still strikes in everyone’s mind is that by what extent the esports industry will rise. Will online gaming take over traditional sports, or it will remain a time pass option after traditional sports? These questions will surely be answered in the near future when the time comes.